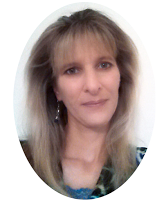 Our guest blogger today is Mary, who comes to us from M Moore Educational Resources. She’s sharing nine ways to use task cards, which have been highly successful in her classroom. Task cards are so versatile, even in middle and high school! They are great because students feel they have a choice in which task they do first, and in middle school this is a great way to engage students. Another benefit of task cards is that students do not feel overwhelmed by worksheet after worksheet of problems to do. It breaks up the day, week, or month. 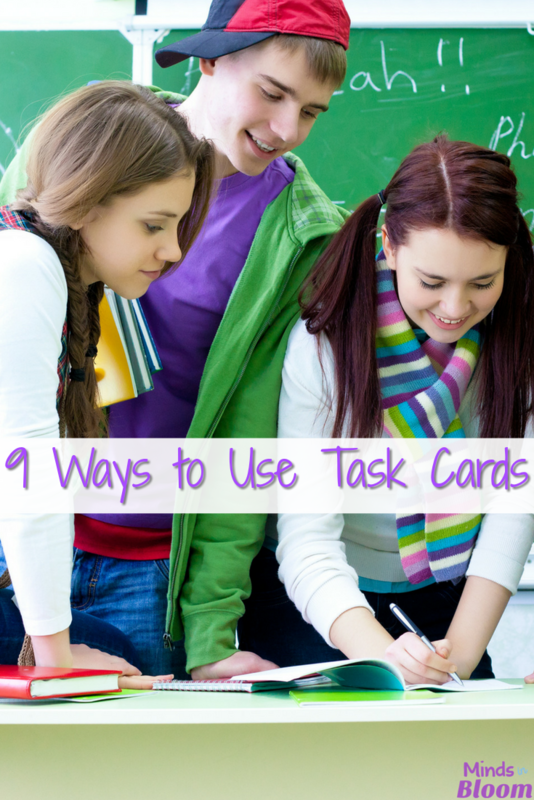 Read below about nine ways you may use task cards. Set up multiple stations with task cards you wish the students to complete. Students work and rotate through the stations and the respective tasks you set up. Stations or centers may be set up with 4-5 specific stations on the tasks you wish students to complete with white boards, recording sheets, or notebooks. The number of stations may be determined by the amount of time students are in your class. Students may record their answers and rotate through the stations for a specific amount of time that you designate. Students may also work on a station you specify if you do not wish for them to rotate through stations. For example, one group may need to improve their skills on “Number Sense” tasks, so they work in the “Numbers” station. Another group may need to improve their skills on “Pythagorean Theorem”; therefore, they work in the “Pythagorean” station. This could be done weekly, bi-weekly, or monthly for middle school or high school students. Stations may also be set up as “self-checking” stations, where an answer key is available for students to check their work. 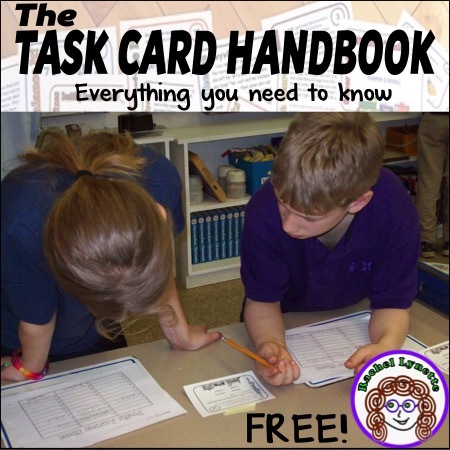 However you set up stations or centers, task cards are fantastic for this purpose. The above photo shows how you may set up tasks or challenges in a small album to keep directions, task challenges, and cards together. Hold a game day once a month and allow students to choose which activity they wish to do. 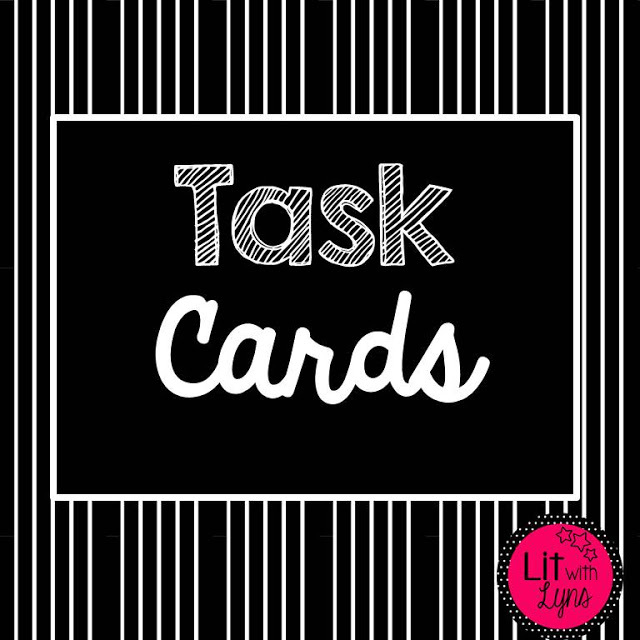 Have the task cards in small photo albums (as demonstrated in the above photo) with the answers in the back, dry erase markers, and small white boards. Let students work on the tasks they wish to complete. For example, one year I had students choose from the topics I had set up, which had been taught the past several weeks and on which they were going to be tested (for example: factoring tasks, two-step equation tasks, order of operation tasks, and percent-decimal-fraction tasks). I would lay the tasks, white boards, bins of markers, and erasers on a table and let students know which tasks were available. Students then could work in small groups or individually and work through the tasks they chose. This was a great way to review and reinforce their learning. If a student or students needed to complete work or needed more review in a certain area, I’d suggest they use that time to complete work (I had extra copies of the work they needed to complete during this time), and/or I’d suggest a specific task I wanted them to work on and with which group. This is a great way to build on students’ knowledge and skills and encourage them to complete assignments, especially in middle school. 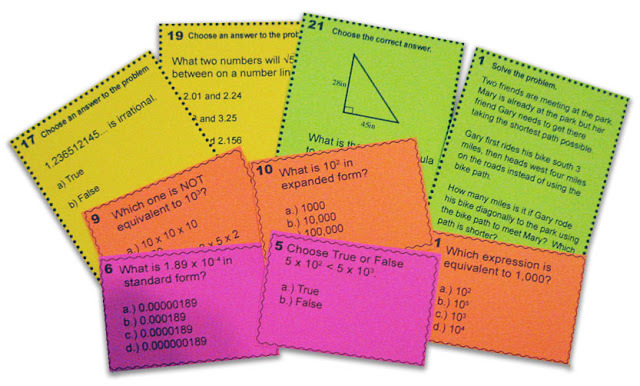 Use task cards as “starters.” Choose one or two tasks for students to do at the beginning of each class. Check for understanding after they have had time to complete the starter. Another option for starters or classwork is for all students to get one task card/one problem at the beginning of class, solve the problem, and then have 1-2 students per day (rotate around the room over the course of a month) share the problem and how they solved it. Another option when teaching units with starters is for students to write their problem and solution on a large poster paper that is posted in the room. Later, during the teaching of a particular unit, have a day or time frame you select where they review everyone’s problem and solution and make any revisions they feel necessary to their own work and/or others’ work. The starter tasks coincide with the unit being taught or focus on skills students need to be successful in the unit being taught at the time. The work is also reviewed by the teacher and discussed. Cut the tasks apart and have students complete a problem a day at the end of class. This could even be done every day, with exit tickets, by students solving one task card a day. Students write their names on the task cards and answer on the back of the task cards or on a recording sheet for the week. As with starters, the tasks used for exit tickets relate to the unit being taught or on skills students need to master in your class. Another option for spiral review is to have students complete a card or a half sheet of task cards when you are teaching a unit. For example, students may need to review exponents when you are teaching Pythagorean Theorem; therefore, you may review exponents with a few task cards or a sheet of tasks to refresh students’ skills as a mini-lesson. It’s a way of mini-reviewing every week or every day so students retain what they’ve learned. As seen in the photo above, print task cards, laminate them if you like, punch holes in one corner, and secure task cards with a metal key ring or a string to create “key” or “flip” books. Students can flip through the problems and solve them on key skills they need to master. They may solve on a recording sheet, on notebook paper, in interactive journals, or on small white boards. One option is to set up a self-checking area where students check their answers after they solve the problem. Another way to keep students working is for students who finish their work early to then select a flip book to work on. The key is to have a flip book area already set up with task cards you wish for them to work on. 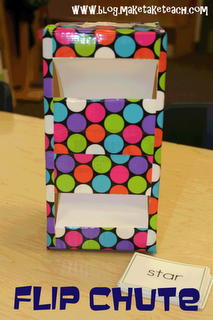 Students may even keep a “log” on which “key” or “flip” books they have completed. As you teach new units, add more flip books so there are always tasks ready for students. This option is very similar to Musical Chairs, yet no one loses a seat, and it is integrated with rotating stations. Set cards out, one on each desk. Have students solve the problem while playing music on low. Time the students as they work on the problem (2-3 minutes, depending on the task and your students); when the music stops, they move to the next desk and start the next task when the music starts again. This process continues while students rotate through all the tasks. 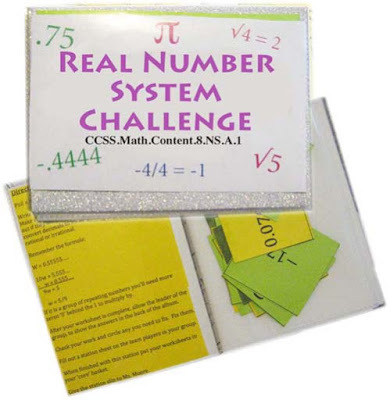 One way students may record their answers is to have a recording sheet, like with the “Let’s Play 24 Challenge Game,” that they take with them from desk to desk that is numbered matching the task card number, or they could write answers in their notebooks. Students later compare their solutions and how they solved the problems. Or, if you don’t want to play music, call out “Scoot,” “Switch,” or another catchy phrase when students switch stations. You may also have tables set up and 4-5 task cards at each table for students to work in teams to solve; then they switch tables. Allow enough time for students to solve the problems. This option is a way to integrate students’ input with stations or centers. With CLUE stations, have tasks laid out on tables at 3-4 stations. At the stations are two sheets: a recording sheet and a CLUE sheet. The CLUE sheet may be a piece of notebook paper with the word CLUES written at the top for students to fill out. Students write in clues or tips to solve the problems; then, the next student looks over the previous students’ or groups’ clues, solves the tasks, and records their answer on their own recording sheet, along with leaving more clues. The CLUES sheet stays at the respective station. Some examples of clues may be (on a volume task), “With this formula you do not cube anything,” or “Remember that Pi is infinite; Pi is not…” or another useful tip to help students solve the task while not giving them the answer. As seen in the above photo, print a page (or cut a page in half) of the task cards and let students complete them as homework, as classwork, or as a quiz. Or print the cards front and back on a sheet of paper and let students turn in the paper at the end of the week as their homework assignment. 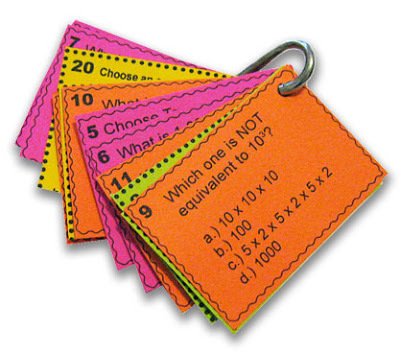 Many of my task card products have a set solely for “test prep,” along with some word problems to prepare students and allow them to practice for testing. 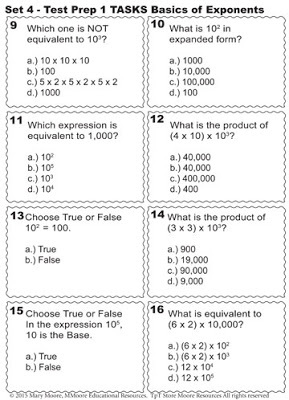 They are very useful as quizzes, classwork, homework, in stations, and more. One option with all uses of the task card activities discussed above is to have the answer key handy (unless it’s a quiz, homework, or graded classwork) so that students can check their work. Most of the activities above may be set up as self-checking stations/activities if you want them to check their answers. Students have an answer key to check their work at the end of the task card flip books, an answer key at the back of an album of tasks, or an answer key to check their work at a “task challenge checking station.” You may also have an answer key handy so when you walk around the room, you can quickly check their work and/or answer questions students may have. As with all of these tasks, I suggest explaining your expectations to students on how you wish for them to utilize task challenges within your classroom.I hope you enjoy the article and the many ways you may use task cards, especially in middle school and high school. © 2015 M Moore, M Moore Educational Resources. All rights reserved. “Let’s Play 24 Challenge” & “Let’s Play 24” are © 2015 M Moore intellectual property. All rights reserved. You may share, pin/repin, and like, just not copy and/or use the “Let’s Play 24 Challenge” intellectual property or resell it. For numerous educational resources, feel free to visit my TpT store; I am continuously adding products, so visit often. Thank you for stopping by today.